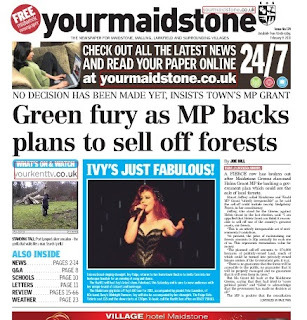 Good to see 'Your Maidstone' put us on the front page with the Maidstone's MP backs forest scandal. Also good to see the Kent Wildlife Trust and CPRE Kent actively opposing the sale too. Both very good organisations! A poll on the Kent News website has 77% opposed to the forest sale.